Using a portable fire extinguisher during the first two minutes of a fire is arguably the most cost-effective defense against property damage from a fire. In the instance of small fires, users can put out or contain a fire by using the proper equipment until the fire department arrives. Let State Systems, Inc. help determine the right type, location and maintenance schedule for the fire extinguishers placed in your building located in Germantown. Call us at 866-308-5701 or contact us online. 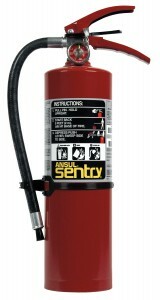 Call us today at 866-308-5701 for Germantown fire extinguisher installation services! By using the BuildingReports Web-based system, State Systems, Inc. can guarantee timely tests for fire extinguishers, first aid, and safety equipment inspections—all documented and following OSHA and National Fire Protection Association (NFPA) standards. Our Germantown area customers can feel confident in their safety and inspection compliance with Extinguisher Scan, offered by State Systems, Inc. If you need fire extinguisher installation, service or training for your Germantown, Tennessee building or property, click here or call State Systems, Inc. today!